Giro d’Italia: The Story of the World’s Most Beautiful Bike Race was published this year to mark the 100th edition of the Italian Grand Tour and the book celebrates the history of the race which is for many people the most eagerly anticipated race on the calendar. If you’re looking for a comprehensive history of the race with details of each edition, then this isn’t the book for you. Instead, Giro d’Italia covers the stories of memorable editions, various rivalries, and lesser-known stories from the race. 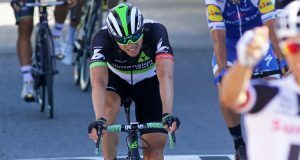 As author Colin O’Brien says, in the age of Wikipedia, if you want to find specific details from an edition of the Giro – stage winners, distances, routes, etc. – that information is readily available online. O’Brien is an Irish sports writer who has lived in Rome for the past number of years and his passion for the sport is evident in the book. His knowledge from living in the country also comes through in the pages of the book. As with the Tour de France, the Giro was the brainchild of the editor of a newspaper. Tullo Morgagni of La Gazzetta della Sport was inspired by Henri Desgrange’s successful Tour across the border in France, and decided to establish a race which would travel around Italy. That very first edition in 1909 was a success with Luigi Ganna fending off the challenge of amongst others, Tour de France Lucien Petit-Breton. 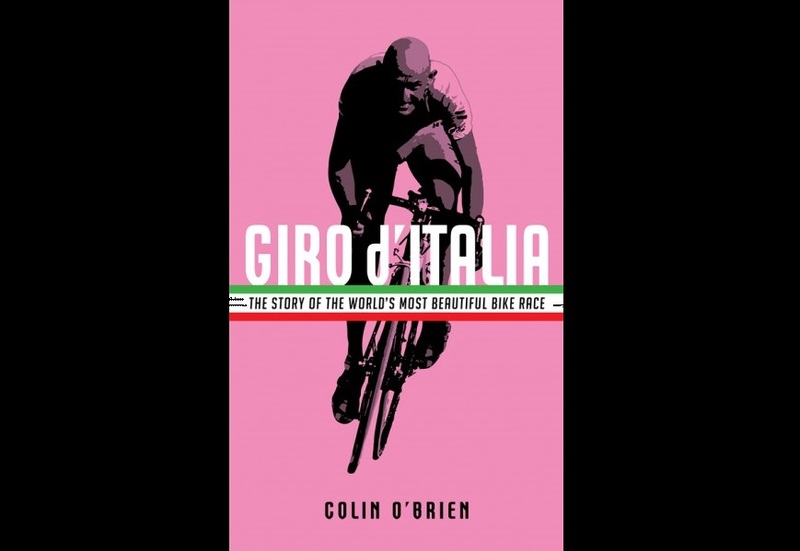 The Giro would survive the First World War and O’Brien mixes the social and political history of the republic very well with the history of the race. He also includes brief chapters on some of the most iconic climbs in the race, such as Roccaraso, Croce d’Aune and Blockhaus. The Passo de Stelvio is also included, but as O’Brien points out, it has been cut from the route on four different occasions, so maybe the risk of inclusion in the route outweighs the benefits. Amongst the legends of the Giro which he focuses on are Costante Girardengo, Alfredo Binda, Fausto Coppi and Gino Bartali. He also tells the story of Alfonsina Strada, who in 1924 cropped her hair and raced against the men becoming the only woman ever to ride the race. Possibly the most appealing parts of the book are where O’Brien talks about the memorable rivalries from the race, rivalries which would match the epic clashes amongst French or Flandrian riders, those such as Coppi and Bartali and more recently, the Roche-Visentini rivalry. The second half of the book includes interviews with the main protagonists of some of the most memorable editions in the last number of decades, which happened to be back-to-back. 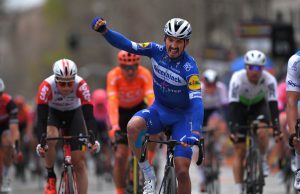 In 1987, Stephen Roche won the race despite the behaviour from the fans of his team-mate Roberto Visentini and the following year Andrew Hampsten won after battling through epic conditions in a memorable edition. O’Brien interviews both to get their memories of those particular races. He also focuses on the rise and tragic downfall of Marco Pantani, describing his stage win in the 1998 race to Plan di Montecampione in vivid detail. The book finishes with a look at what the future holds for the race and the challenges faced by the organisers. Race Director Mauro Vegni is interviewed and provides some really good insight into what has changed in recent decades with the sport, and why the race and the sport is so important. Regarding the race administration, it was somewhat surprising to see no reference to the circumstances surrounding the dismissal of the previous race director Michele Acquarone. Another story which was not included is the tragic death of Wouter Weylandt in the 2011 Giro but then again as O’Brien stated in the Preface, it was never his intention to write an encyclopaedia of the race so not every interesting story from a race spanning 100 editions could or would be covered. Giro d’Italia: The Story of the World’s Most Beautiful Bike Race is the first book to be published by Pursuit Books, the new cycling imprint from Profile who state that their aim is to publish beautiful books with lasting appeal, and the design of this book is really eye-catching. Giro d’Italia: The Story of the World’s Most Beautiful Bike Race is available from Profile Books and is priced at £16.99.